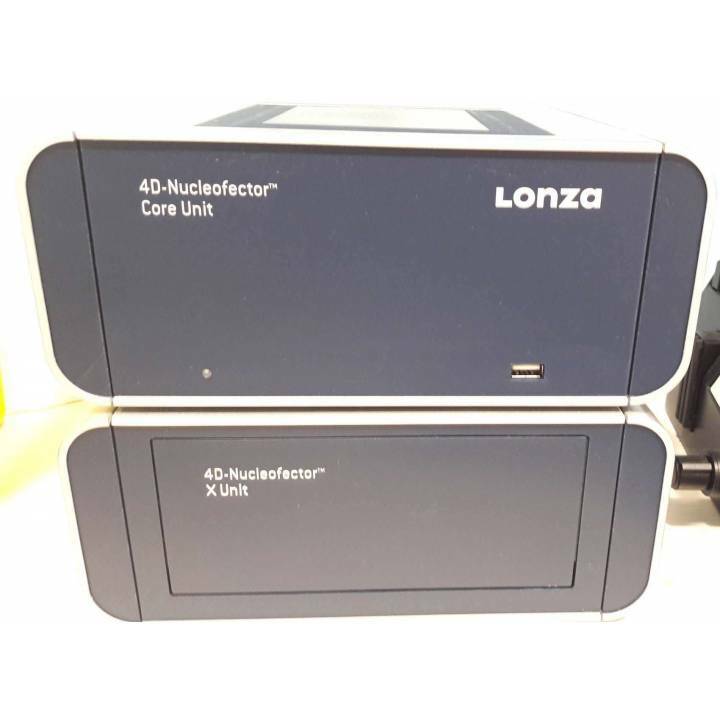 Electroporator Lonza 4D-Nucleofactor System. 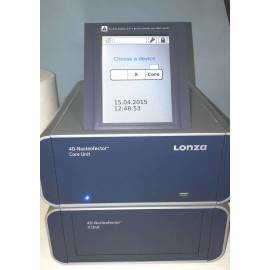 Formed by two modules: unit Core (control unit) and unit-X unit-transfection). Unit X performs 16-to 32-transfections per minute. Includes instruction manual and original packaging. 2014.